New Jersey's Bilingual and ESL policies are primarily found in the Bilingual Education Administration Code for New Jersey. 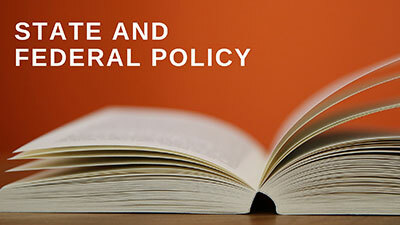 Guidance for state-level program review can be found in the Implementing ELL Programs Document. See below for supporting guidance and implementation documents. In 2015, the U.S. Departments of Justice and Education released a Dear Colleagues Letter outlining civil rights obligations for ELLs. See below for additional information related to this topic. The Every Student Succeeds Act contains a variety of program, fiscal, and accountability requirements for local education agencies that enroll ELLs. See below for documents that provide guidance related to this federal legislation.